May 22, 2017 - Join us for #RevWarWednesdays! 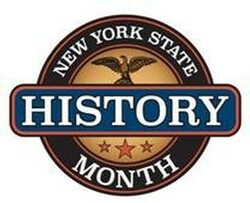 Send us your photos of Revolutionary War era antiques, whether they be barrels, bayonets, or battlegrounds. Oct 15, 2014 - The 100 year-old Glove Theatre will re-enact the world premiere of 'Drums Along the Mohawk,' 5 p.m. November 1st. Oct 1, 2014 - Join Park Ranger Dan Umstead this Saturday, October 4 for Fort Stanwix National Monument’s next Walk with History, the last of this season. 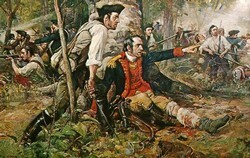 As you walk, you will learn the story of the Battle of Oriskany, one of the bloodiest battles of the American Revolution. 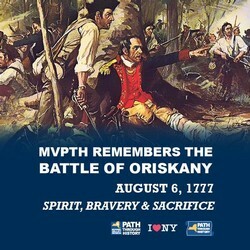 Jul 30, 2014 - National Park Service staff and volunteers invite the public to join them, Wednesday, August 6, 7 p.m., as they commemorate the 237th anniversary of the Battle of Oriskany. 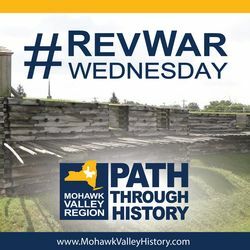 This annual event at Oriskany Battlefield State Historic Site honors those who fought to defend their beliefs and their way of life, forever changing the face of the Mohawk Valley. Jul 16, 2014 - The final July 1774 diplomatic Indian Council at Johnson Hall, and the subsequent death of Sir William Johnson, will be reenacted during a special event on July 19 and 20 at Johnson Hall State Historic Site. 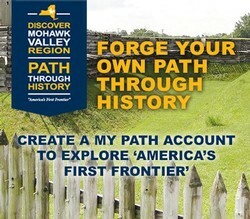 May 30, 2014 - My Path, a new virtual trip planner now on MohawkValleyHistory.com, will change the way visitors explore the Mohawk Valley Region.